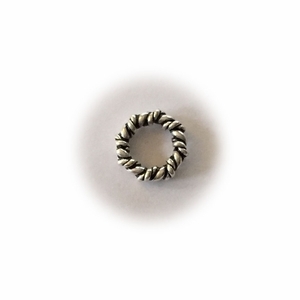 Beautiful Bali-style Sterling Silver double twisted closed jump rings - 7mm! Sold in packs of 25. These are thicker and more textured than the other twisted rings, mixing a twisted wire with a smooth wire in the twist - what a great look! !